A new student enters your caseload with an IEP and goals already set up for the year. Your first thought may be, “FANTASTIC! One less IEP to do!” But as you dig in deeper, you begin to wonder what in the world is going on here. The goals are all done, but they aren’t the kind you write. Maybe they are so long and in depth that you wonder how anyone could think a superhero SLP would get that done in a year. Maybe they are so short and simplistic that you feel the student has nothing to gain from it. Maybe you are just confused about why it was chosen at all. One thing that I’ve learned over the years is that we should give each other the benefit of the doubt, since there are so many different factors that come into play, depending on where you work, what your experience level is, and what your therapy framework is. Most of the time, there is something in a goal that you can work with. Some school districts have IEPs scattered throughout the year. In the month before, you assess the students, whom you already know well after having them on your caseload for a while, and write new goals that continue from the current skill level. Lots of written work, but pretty straightforward. Some school districts use IEP compendiums, purchased or self-made. 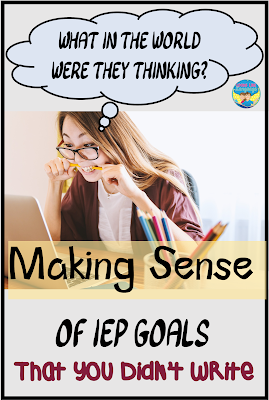 The benefit to using computerized IEP goals is that it can cut back on the time you spend re-writing goals. • If the goals are detailed and specific, there may not be enough of them to cover all of your students’ varied needs. • Finding out the way to add a goal that is not currently in the compendium so that your students’ specific need can be met. 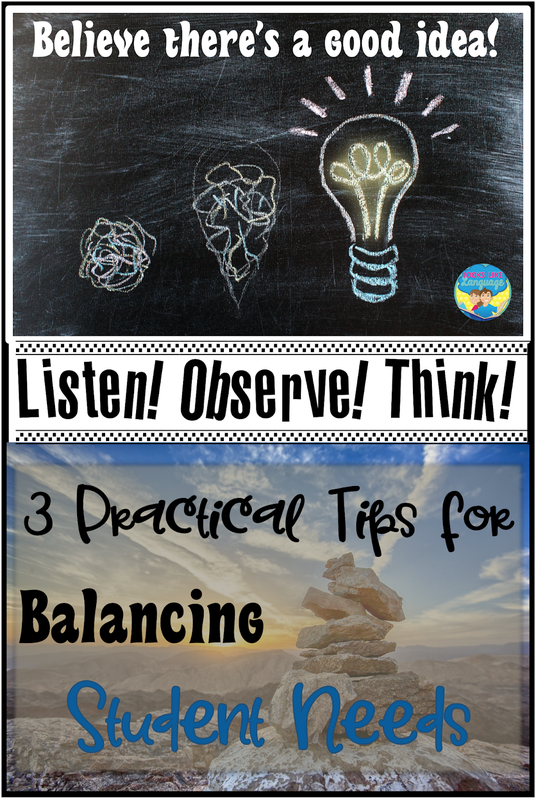 • Figuring out which part of the lengthy set of skills shows where your students’ current needs are and addressing that specific section of the goal. Session notes document exactly what is being addressed and the data to document growth. Informal measures taken quarterly can look at the big picture to show that progress is being made toward the overall goal as well. Some school districts put pressure on providers of special services to provide fewer services, write more goals, have higher levels of success, you name it. This can come about because of administrative pushes, funding issues, audit results, and probably a variety of other causes. This is the reality of therapy in schools. Do your best for your students within the parameters you’ve been given, decide to fight against it or move on to another job. With large caseloads, multiple schools, and varying degrees of practical experience, SLPS are doing the best they can. No one went into this field thinking it was a huge money-making career, so assume that we all have our students' interests at heart. As beginning therapists, we all work on building up our resources: materials, knowledge of strategies, the variety of student management techniques, ability to handle the overabundance of paperwork, and diversifying our therapy skill sets in general. Maybe that goal that has you perplexed stems from a subtest score that the participants in the IEP meeting were especially concerned about. Maybe the new therapist chose similar areas of student need for much of their caseload because they felt secure about helping students make improvements in groups while they learned to handle more diversity. Maybe that one goal has enough flexibility built in that the therapist was better able to meet diverse group needs! Face it, speech/language therapy covers a multitude of disabilities and skills! We all have some aspect of communication that we are especially interested in, and that helps to personalize the lens that we use to assess students. Especially for students with bigger delays and multiple needs! One of the hardest parts of our job is prioritizing what to work on when a student has delays in many skills so that you can have the biggest positive impact in their lives. Listen to everyone on the student’s team to hear what they are all saying about the student’s weaknesses. Parents, who know their child best of all. Teachers, who observe the student in many school contexts, have knowledge of both strengths and weakness, and other students to compare against. Specialists, who bring their specific area knowledge to combine with yours and help the child as a whole. Informal assessment can occur at any time or any place during the school day. Build a relationship with your student’s teachers and find out what their concerns are. Watch the students in the room in between sessions when you are picking up and dropping off. 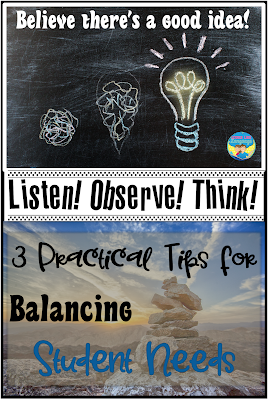 Pay attention to their interactions with peers while you are on your way to the copying machine, or doing bus and lunchroom duties. Think about what you know about the child’s language system and how this could be impacting the ability to function in the school. What strengths and weaknesses are a common theme in the team discussion? What communication needs can a part of any behavioral concerns? Is there a pattern showing that improvement in a specific area of communication deficits could help the student at multiple times of the school day? There’s your answer! At some point in the year, you will have reached a point where you feel comfortable with your therapy routines and materials for the specific aspects of students’ goals that you are taking data on since you are seeing progress. Yes, you will! And every year it gets a bit easier. But, for me at least, the discomfort level at the beginning of the school year never stopped. Kudos to you if you have managed it! 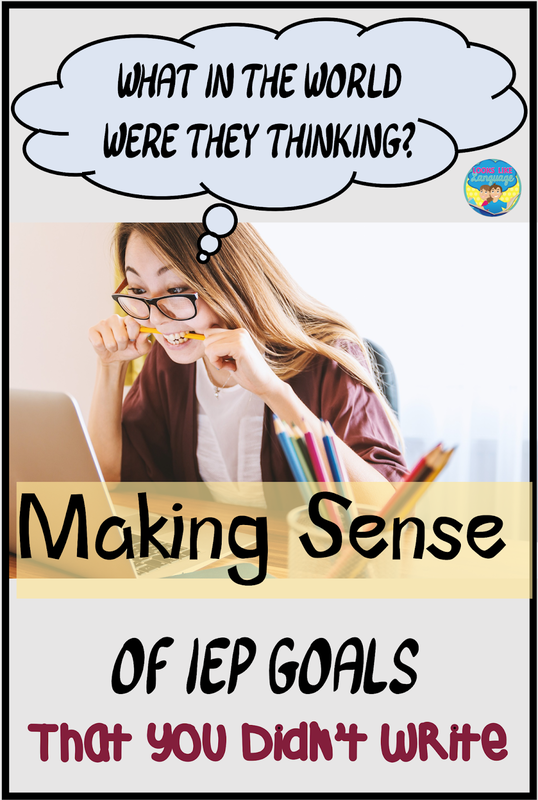 When you reach a point that you can look beyond the next week or month, or your student shows that the basic aspects of the IEP goal have been learned, think about bringing in some of those skills that were not a priority at the beginning of the year. Keep on listening, because the student may have another priority need by now. * The student who answers basic WH questions can play teacher and ask you or peers the questions. * The student with improved memory strategies can apply the skills socially to remember information about peers for better social skills. * The student who follows directions now can try giving the directions in an activity. * The student who understands narrative structure in simple stories can use it to expand personal narratives or make them more concise. * The student who uses expanded sentences in structure can work on social skills and reinforce the expanded sentences in a social activity. Don’t be too fast to move on to new skills when you can incorporate newly learned skills with other areas of weakness. Combine your therapy expertise and framework with the IEP goals the student came with to meet as many of the student’s communication needs as you can. Your students will benefit! Are you looking for a functional and easy activity to finish up your Thanksgiving theme this week? Here it is! Students will have fun before and after Thanksgiving, making sentences to tell about the holiday and prompting discussions of what their families did this year. Little ones often need pictures to prompt recall of past activities, so this game helps with answering questions and telling short narratives, too. 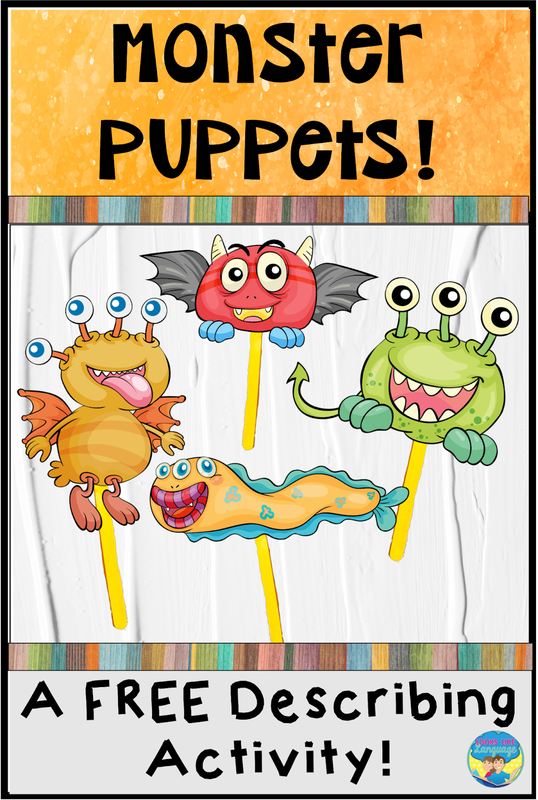 This week's download has noun-verb-noun prompts, without the color coding, for higher level students, but the same cute pictures. And it is free! So be sure to download it now. Just click here. If you missed last week's color-coded version, click here. And have a lovely Thanksgiving! Enjoy! Do you ever have nightmares where you are at school and realize that you never finished planning for the week? And your students are getting noisier and starting to move around the room loudly while you are trying to remember what you meant to do? And then there's a knock on the door and the principal shows up for a surprise observation? Phew! Thank goodness it was just a bad dream! But, seriously, working in a school takes a lot of planning. If you are doing some last minute planning for Halloween, I invite you to click here to check out my Pinterest board for some great ideas that will make your life easier! Crafts, books, food ideas, freebies- lots of fun stuff there! More Halloween fun can be found by visiting my store here. How about a quick and easy freebie for last minute planning? I have you covered! Just click here. And be sure to sign up for my newsletter! So, let's be honest with each other, now. How many of the sweet treats you bought for the trick or treaters have gotten past your lips? I can't buy chocolate candies at Halloween for just that reason. Thank goodness I can resist some candy! 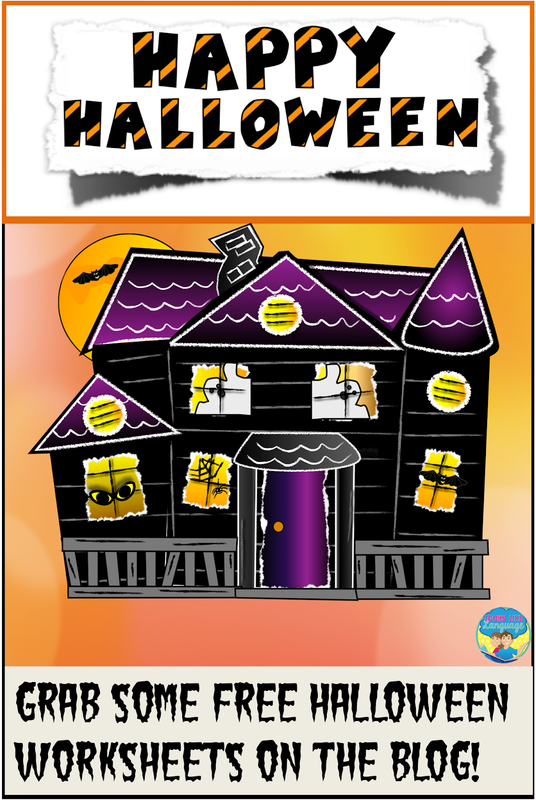 Well, this treat has no calories because it consists of free, printable Halloween worksheets for basic skills. This week completes the set unless you have subscribed to my newsletter. My followers got an extra goodie! You can sign up, too! Just fill in your information on the dreaded pop-up! You know the thing about sweets? If you have one treat, you just want another? Well, it's a good thing that I have another Halloween treat for you! 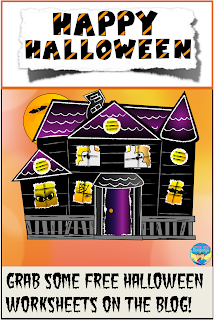 This packet has basic skills Halloween worksheets that you can download weekly to get a free set. When you have one of those days when you are always behind, just have one of these handy to send home as a quick themed review! You don't work with little ones? 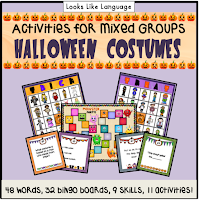 Click here to check out the detailed preview for Halloween Costume Picture Activities for Mixed Level Groups. A Sweet Halloween Treat for You! Halloween is a sweet time of the year in both meanings of the word! And why not get a treat for yourself? 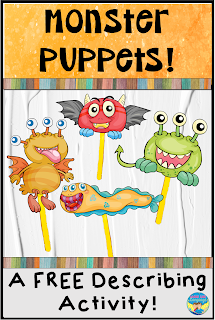 If you work with (or have your own) preK kids, then you might like to download these free basic skills worksheets. Come back weekly to get the whole set, or sign up for my newsletter to get access to the complete packet in one download! Are you looking for something more interactive? 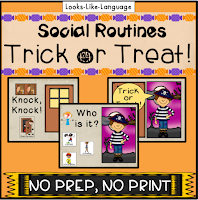 Click here to check the detailed preview for a no print, no prep activity for Halloween routines!